For many families, sports offer growing children a chance to exercise, engage in healthy competition, and have fun. However, sports activities all come with the risk of certain injuries. Many of these activities, especially contact sports, can threaten the health and strength of a child athlete's smile. The right sports mouth guard can keep your child athlete smiling on and off the field. In this blog, we guide you through the process of determining whether your child needs a mouth guard, deciding when your child should wear a guard, and finding the right mouth guard. Does Your Child Athlete Need a Mouth Guard? Whether or not your child athlete needs a mouth guard depends on the sports that he or she participates in. Some sports, like lacrosse and hockey, require mouth guards. If you aren't sure whether your child needs a mouth guard for a particular activity, think about the potential threats to your child's smile that could occur during game play. If a sport includes a high likelihood of impact incidents involving the face or head, outfit your child athlete with a mouth guard. How Often Should Your Child Wear a Mouth Guard? While it's obvious that your child should wear his or her mouth guard during official games, you may wonder if he or she should wear the guard at other times as well. Ideally, your child should wear a mouth guard whenever participating in sporting activities like the ones listed above. For example, mouth guards are recommended for casual or pickup games, practices, and periods of recreation as a family or with a group of friends. Whenever your child participates in a sporting activity that increases his or her risk of these injuries, a mouth guard should be worn. Where Should You Purchase a Sports Mouth Guard? While any mouth guard can potentially reduce the seriousness of an injury, not all sports mouth guards are created equal. You must typically choose between three types of mouth guards: standard, bite-and-fit and custom. Standard mouth guards cannot be modified to fit the user's mouth in any way and are often uncomfortable to wear, especially for long periods of time. You may use a standard guard to help your child adjust to wearing one, but a standard model should not be your child's only option. As the name suggests, bite-and-fit mouth guards can be warmed up and molded to the user's teeth. 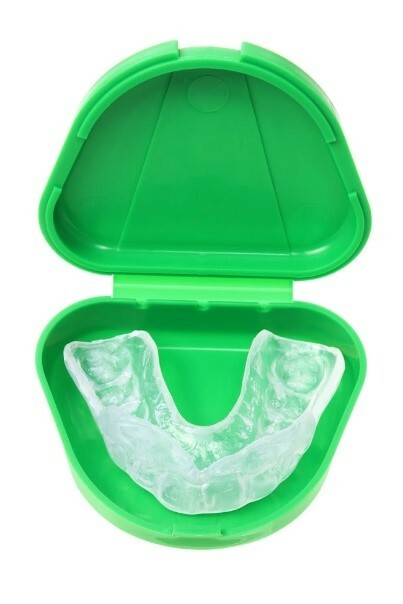 These mouth guards are more comfortable than standard models, but cannot necessarily accommodate braces or other dental appliances. The best mouth guard option for your child athlete is a custom sports mouth guard fitted by your child's dentist. These guards consist of the highest-quality, longest-lasting materials and fit your child's teeth perfectly, which enables these guards to minimize injuries to the greatest extent. Use this information to protect your child's smile, regardless of how intense his or her competitive sports experience gets. To consult with an expert family dentist about your child's need for a mouth guard, reach out to the staff at Milner Dentistry.